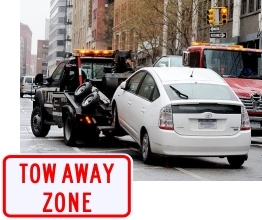 Add a plaque to warn drivers of a tow away zone. Parking signs are designed to inform drivers as to where they can or can't park. For use on community streets, in shopping malls & corporate parks, campuses or where ever certain parking conditions may apply.